UPDATED August 1st 2010 – The kitchen staff of Sun And Sun has moved to the opposite side, to a restaurant named Splendid. 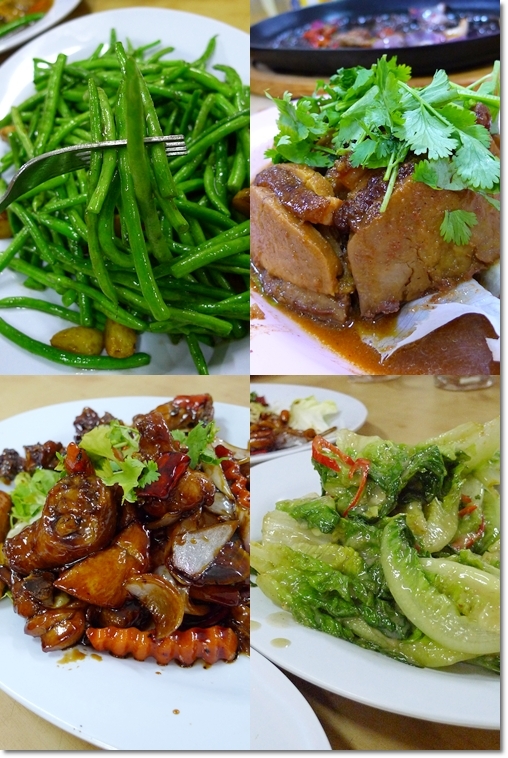 So if you’re looking for the same ‘chu char’ dishes, hop over to Restoran Splendid instead. Address at the end of the post. 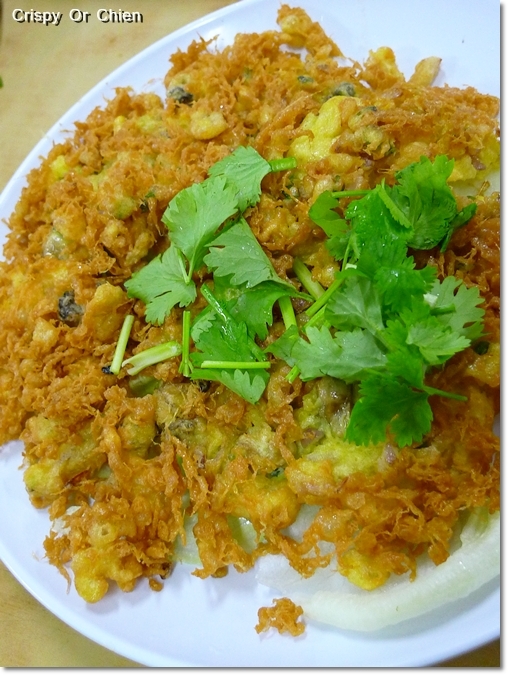 Crispy Or Chien aka Oyster Omelette (RM7/USD2) @ Sun And Sun – You can imagine the crunch, then the grease …..
It’s Monday. So I’ll be kind and leave you with a short, short post. 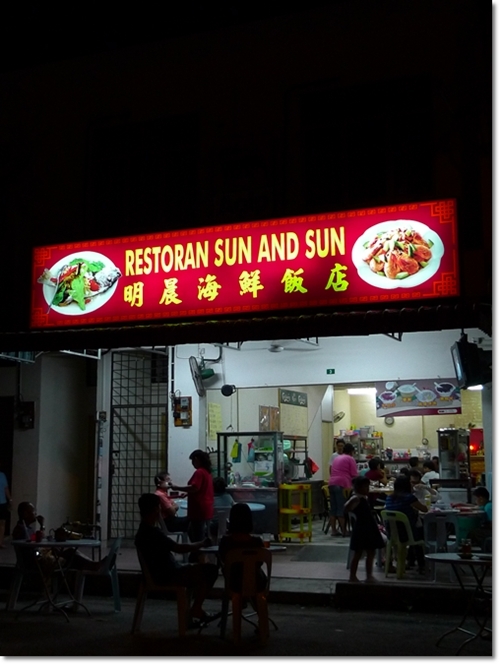 Anyway, this is a neighbourhood restaurant that does great ‘chu char’ (Chinese dishes with rice) in Ipoh Garden East. Named Sun And Sun (catchy name, huh? 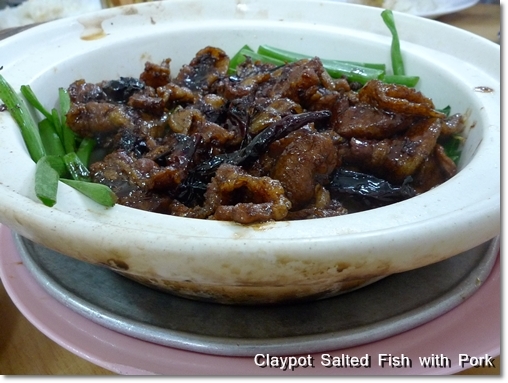 ), the restaurant can get really packed on weekends and public holidays, especially come peak hours; 7pm-8pm. So either be there early, or late, or call to reserve a table beforehand. Not sure if this is feasible, but since we’ve been dining there a lot, and taking away dishes on the other days, the lady is really, really accommodating to our needs. And best of all, not only do they come up with different dishes every now and then (NO menu though, so have fun jump-starting the waiter’s/waitress’ memory! ), the prices of the dishes is mind-blowingly cheap. Yes, I doubt you can still eat out for less than RM10 per person in most Chu Char restaurants in Ipoh, save for the very few exceptions. 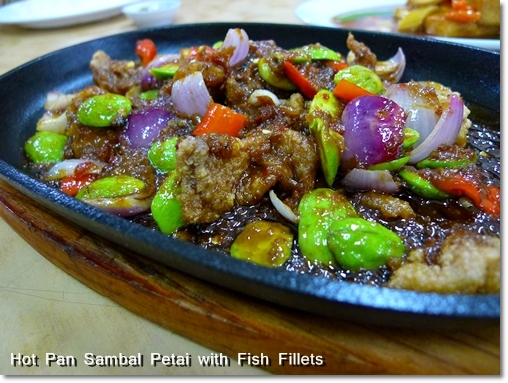 (Peng Tau in Pasir Puteh comes to mind, even listed amongst one of my 2009’s Top Eats). 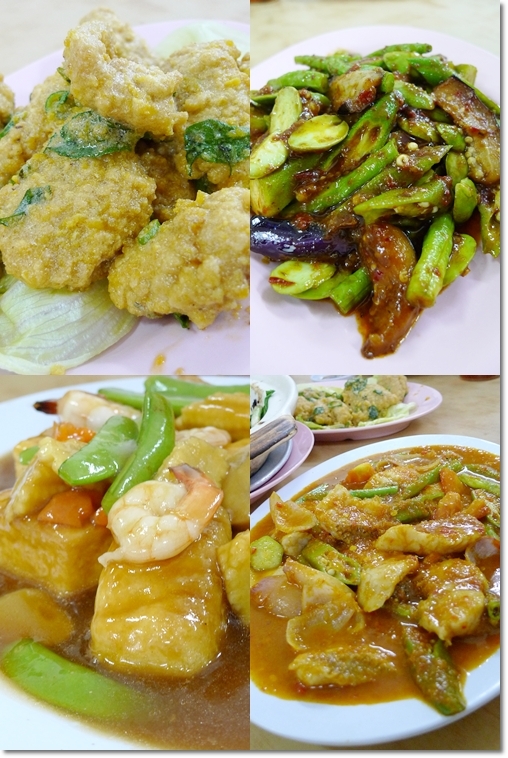 Salted Egg Yolk Chicken, “Four Heavenly Kings”, Assam Fish Fillets and their signature Braised beancurd with Shrimps and Greens. The dishes in this post were not ordered in one sitting. We would be blown to smithereens from all the stuffing, had we been served everything at once! I lost some older receipts, hence I did not tag the dishes with their respective prices. But no fret, no dishes go beyond RM20. Not even pricier than RM15, really. Truthfully, the dishes never disappointed us. Maybe some misses here and there, but in general, almost every meal was a pleasant one. 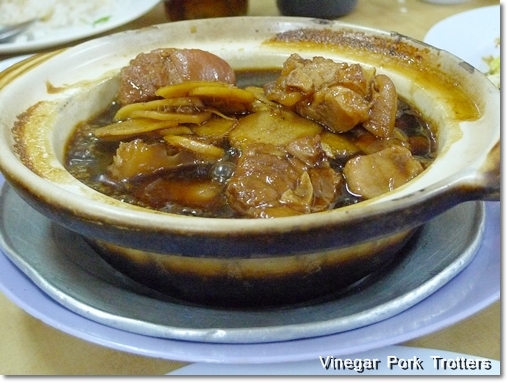 In particular their pork dishes, such as Stewed Yam with Pork, and Claypot Pork with Salted Fish. And of course, the perennial favourite of mine; Sweet and Sour Pork. Though not as impressive as Wong Koh Kee‘s in Old Town, which has since been my measuring stick for crispy Gu Lou Yuk. 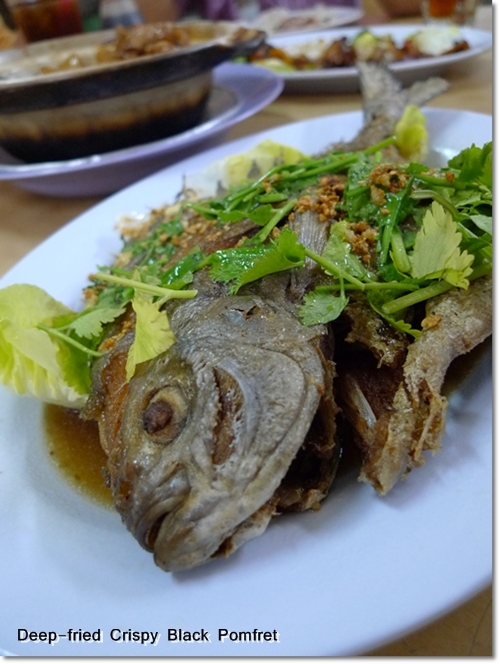 They also can whip up a mean “Kon Chin Har”, or Soy Sauce Pan-fried Prawns. Almost resembling Mun Choong‘s famous version, but at a fraction of the price, and of course, sizes. Drooling yet? Opens for dinner only. Closed on every other Tuesday. Directions : From Jusco Kinta City towards Tambun using Jalan Perajurit (the road where you will pass under an overhead expressway, go straight until you pass by Citrus Wine And Dine (formerly Antap Cafe). Sun And Sun is on the row of shop on your LEFT after that. Desa Tambun Indah, 31400 Ipoh, Perak. There are about 3/4 chu char eatery within the vicinity or along the long row of shoplot, but only this outlet has the most crowd speaks of its popularity. I only tapau fried noodles but never try out its other dishes just yet. The cook is truly a fat one & friendly indeed. The white coffee is good too. You can cry to tapau their individual portions of rice+dish. I tried their rice and pan fried prawns once, not bad. Another new shop to try on… great! Thanks for letting know..
How I wish to make a trip down to IPoh to savour all the good food there. Oh man, the oh chien.. the grease.. but oh the love! This is the first time knowing about this restaurant , thanks for sharing . below rm10 a meal? seriously u kidding rite? can barely eat mix rice in KL nowadays with rm10..
Mixed rice also cannot meh? Hahaha, oh, and RM10 for a meal with drinks and rice I might add. Tried this place after your recommendation and I’m now an avid fan. Sometimes when I want a quickie, I will jst doggy bag the roast pork rice. Very nicely done. By the way, the original shop (Sun And Sun) serves very tasty economy rice for lunch and dinner. The fried oyster is one of the best I had. Crispy and not oily. Must try! The old Sun and Sun or the new one? Now that they have moved to the opposite shop, I have not paid them a visit yet. of me, because this time i am reading this wonderful educational post here at my residence.